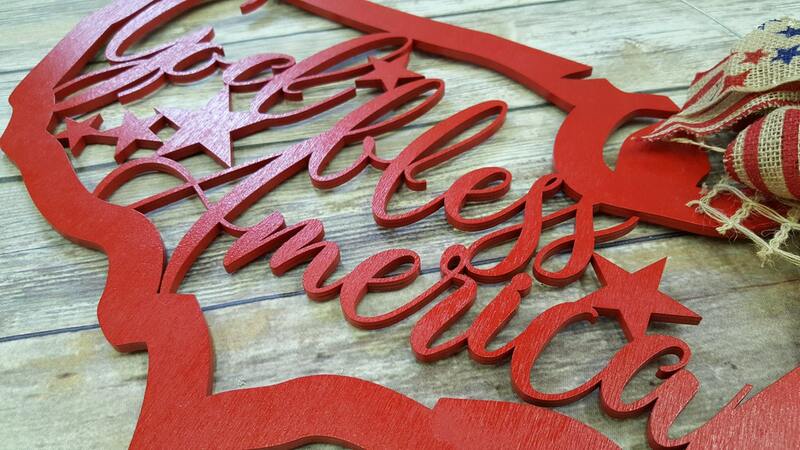 What a fun, patriotic touch to your decor! 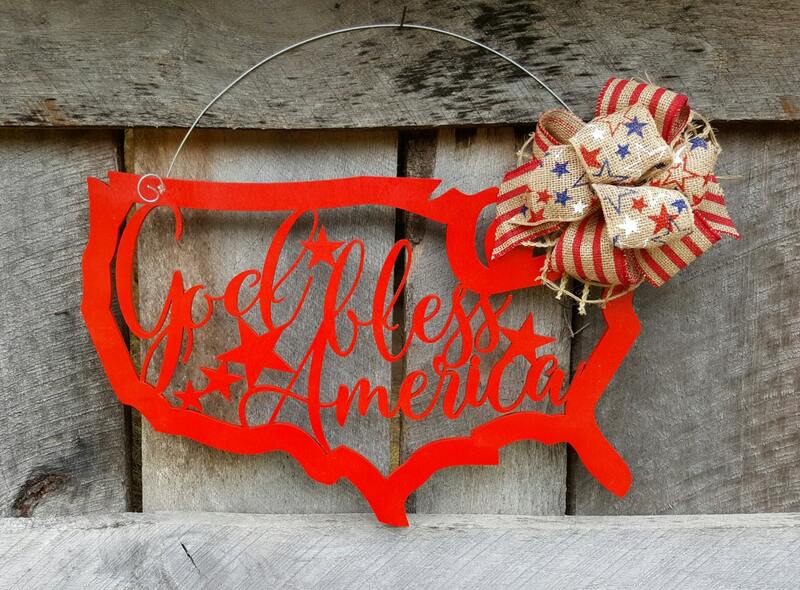 As a summer door hanger, a finishing touch to your Fourth of July decor or an everyday reminder of God's great blessings on our country, this design is great! 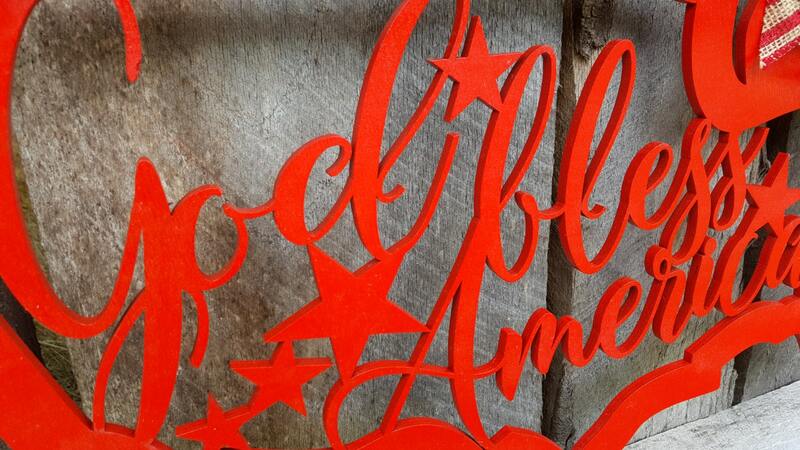 This piece is cut from 1/4" thick wood and painted in red. 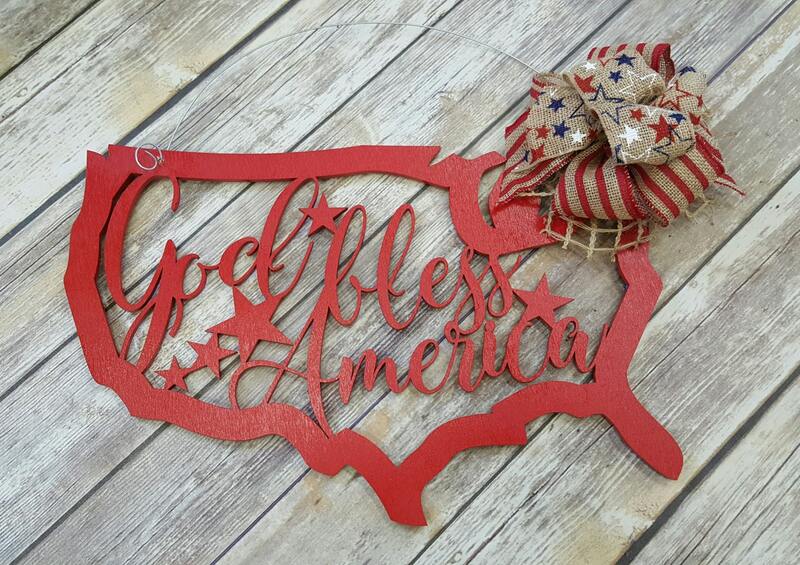 We finish the piece off with an attached wire hanger and a red, white and blue burlap bow. So, it arrives ready to hang and enjoy! The wooden portion of this design measures 22" wide. 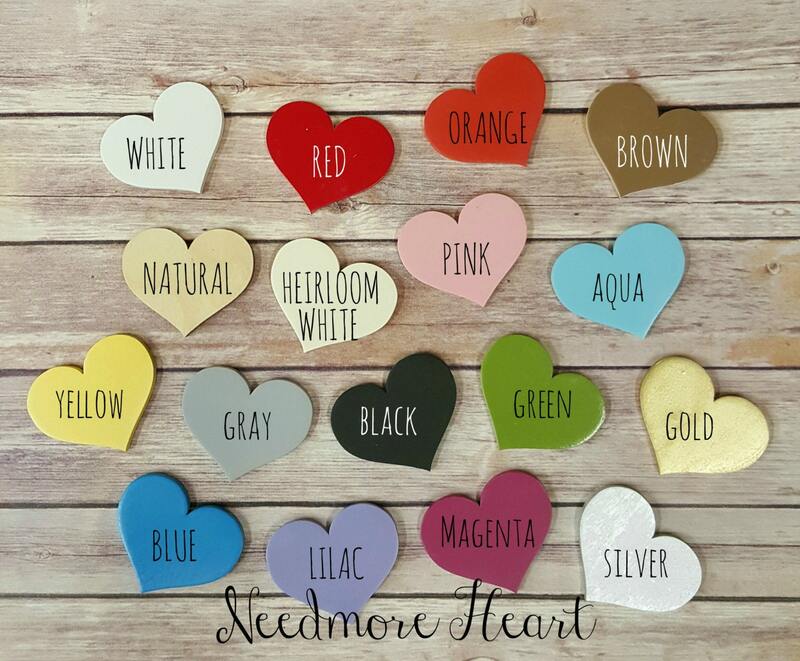 The attached wire hanger adds a few inches to the overall height of the piece, but is not included in the listed measurement. Item came quick! Great shop to work with. My mom is going to love it! !